The Department of Visual and Performing Arts presents “Music O Rama” at 7:30 p.m. Saturday (Oct. 1) at the Rozsa Center for the Performing Arts. “Music O Rama,” an annual musical variety concert, will be held this year in honor of a couple that has spent many years participating in the Arts at Michigan Tech. This concert is sponsored by John and Biruta Lowther, in celebration of their 50th wedding anniversary. The Lowthers and their family took part in many of Michigan Tech’s various music ensembles. Tickets are on sale now, $13 for adults, $5 for youth, and no charge for Michigan Tech students with the Experience Tech fee. Tickets are available by phone at 7-2073, online, in person at the Central Ticketing Office in the Student Development Complex or at the Calumet Theatre Box Office. The Rozsa Center for the Performing Arts presents “State of the Union” performed by the Helsinki Chamber Choir, on Sunday, October 2, 7:30 PM. “State of the Union” (SOTU), by Eugene Birman and Scott Diel, is a 40-minute operatic work for twelve voices, a bold new opera addressing the pressing political and environmental issues of our time. 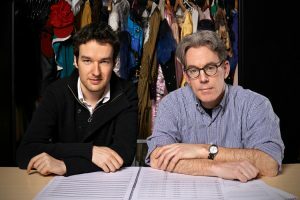 The opera was conceive d in 2015 while Juilliard-trained composer Eugene Birman and librettist Scott Diel spent sixteen days on Rabbit Island. Part opera seria, part satire, SOTU considers environmental crisis, economic inequality, and the general obliviousness of society’s confused march forward. The Helsinki Chamber Choir is the leading vocal group from Finland, and one of the most notable contemporary choirs in all of Europe. Rabbit Island, a 91 acre forested island in Lake Superior three miles east of Michigan’s Keweenaw Peninsula, is held under a conservation easement granted by the Keweenaw Land Trust, and supports programs fostering science, art, preservation and recreation. Rabbit Island is a laboratory for artists to consider the modern relationship between art and the environment, and this is what Birman and Diel have done. Birman and Diel will present their work, State of the Union (SOTU), in its world premier tour first in Marquette, Michigan, on the campus of Northern Michigan University, then on to the Rozsa Center for the Performing Arts in Houghton, MI then Interlochen, Michigan, and culminating in New York City. SOTU has been brought to life thanks to generous support from the Rabbit Island Foundation, Northern Michigan University’s Northern Nights concert series, DeVos Art Museum, the Finlandia Foundation, the Finnish Cultural Foundation, and the U.P. Beaumier Heritage Center. We are particularly excited to welcome the Helsinki Chamber Choir to the Upper Peninsula of Michigan where a large percentage of residents can trace their roots back to Finnish immigrants. In the U.P. we proudly celebrate Finnish language, culture, sauna, surnames and, of course, sisu. 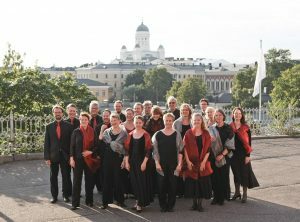 The Helsinki Chamber Choir (Helsingin kamarikuoro) was founded in 1962 as the Finnish Radio Chamber Choir and assumed its current name in 2005. It is currently Finland’s only professional chamber choir. The choir’s Artistic Director from 2005–2007 was Kimmo Hakola. Since 2007 Nils Schweckendiek has been responsible for the group’s artistic planning. While its wide-ranging repertoire includes music from the Renaissance to the present day, the Helsinki Chamber Choir is particularly highly regarded for its work with new music. The choir regularly commissions new works and has given over 50 world premieres in the seasons since 2005, as well as more than 30 Finnish first performances. The choir appears frequently at major Finnish music festivals and collaborates with orchestras and Baroque and contemporary music ensembles. Recent touring has included concerts in Russia, Estonia and Belgium. The Helsinki Chamber Choir’s concerts are regularly broadcast on radio and television, both nationally and internationally. Particular highlights have been televised performances on the international cultural channel ARTE of Michael Haydn’s Requiem in 2006 and Einojuhani Rautavaara’s Vigilia in 2013. The Helsinki Chamber Choir’s recording of Magnus Lindberg’s Graffiti (with the Finnish Radio Symphony Orchestra and Sakari Oramo) was nominated for a Grammy in the contemporary music category in 2010. During its days as the Finnish Radio Chamber Choir, the group recorded a number of CDs for the Ondine label, including Rautavaara’s complete works for mixed a cappella choir. The choir’s most recent appearance on CD is in the world premiere recording of Veli-Matti Puumala’s opera Anna Liisa (to be released in May 2015). A number of other recordings will appear in the near future. Since 2012 the Helsinki Chamber Choir has been a member of Tenso, the association of European professional chamber choirs. The Finnish Radio Chamber Choir’s principal conductors were Harald Andersén, Kaj-Erik Gustafsson, Ilmo Riihimäki, Eric-Olof Söderström and Timo Nuoranne. Alongside Nils Schweckendiek, in recent years the choir has worked with conductors including Kaspars Putnins, Fredrik Malmberg, Eric-Olof Söderström, Andres Mustonen, Olari Elts, Rachid Safir, Tim Brown, Anne Azéma, Aapo Häkkinen, James Wood and Rinaldo Alessandrini. For more information or to purchase tickets, contact Michigan Tech Ticketing Services at the Central Ticket Office (SDC), at 906-487-2073, or go online at rozsa.mtu.edu. The Rozsa Center and Department of Visual and Performing Arts presents the first Rozsa A-Space Gallery show of the 2016-17 Season: Flats and Rounds, an exhibition of the work of two artists, Kathleen McCloud and Sarah Hewitt. Flats and Rounds opens with a public reception on Friday, September 30, from 5:00 PM until 7:00 PM, and will continue through November 18. The reception is free and open to the public, and gallery hours are Monday – Friday, 8:00 AM – 8:00 PM and Saturday from 1:00 PM – 8:00 PM. Hewitt will also create a weaving installation on-site, in the Rozsa Lobby, from October 20 – 26th. A public lecture by Hewitt to discuss her work further will be held in the Rozsa on the evening of Tuesday, October 25. 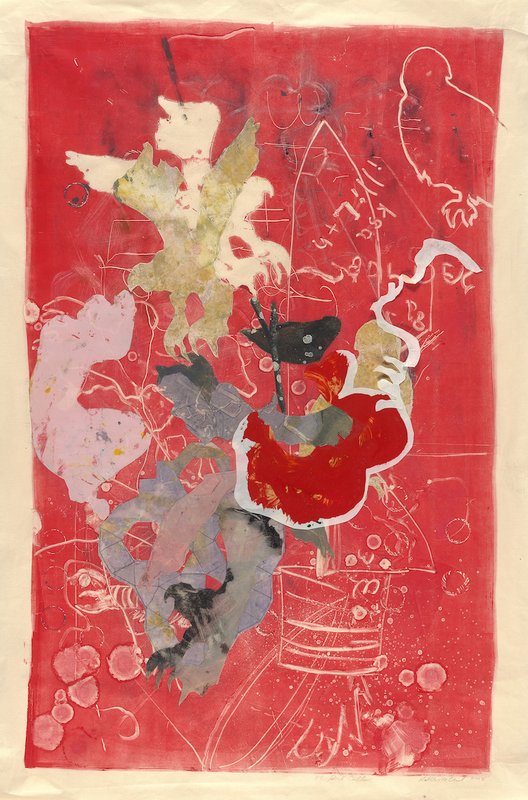 Kathleen McCloud, a visual artist currently living in Santa Fe New Mexico, works in painting, printmaking, sculpture and installation mediums. McCloud writes, “My paintings and print-based paper constructions expand upon history and the mythologizing that insinuates into the cultural story over time. I reconfigure the characters into a variety of relationships and environments to create globalized narratives that address current events and the replay of history. For more information please contact Lisa Gordillo, Assistant Professor, Visual and Performing Arts, 906-487- 3096, lijohnso@mtu.edu. Please join us for Music O Rama, an annual musical variety concert, that will be held this year in honor of a couple that has spent many years participating in the Arts at Michigan Tech. 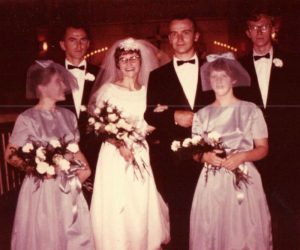 This concert is sponsored by John and Biruta Lowther, in celebration of their 50th wedding anniversary. 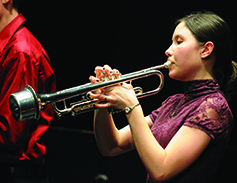 The Lowthers and their family members took part in many of Michigan Tech’s various music ensembles. 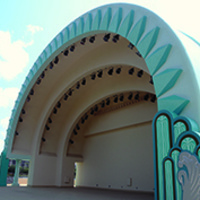 The celebration will feature performances by conScience, Superior Wind Symphony, and Jazz Lab Band. The Department of Visual and Performing Arts presents “Music O Rama” on Saturday, October 1, at 7:30 PM at the Rozsa Center for the Performing Arts. Tickets are on sale now, $13 for adults, $5 for youth, and no charge for Michigan Tech students with the Experience Tech fee. Tickets are available by phone at (906) 487-2073, online at Rozsa.mtu.edu, in person at the Central Ticketing Office in the Student Development Complex, or at the Calumet Theatre Box Office. 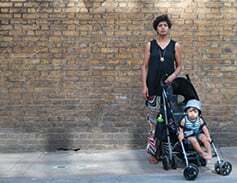 “Being Between,” artist Lali Khalid’s photographs of identity, displacement and home, are on display in Rozsa Gallery, A-Space, through Thursday, Sept. 22. The gallery hours are 8 a.m. to 8 p.m. Monday through Friday and 1 p.m. to 8 p.m. on Saturday. A special lecture by the artist is scheduled for 3 p.m. Friday, Sept. 16 in M&M U115. The gallery reception follows from 4:30 to 6:30 p.m. in the Rozsa Gallery (lower level). For additional information, contact Lisa Gordillo. Bring your lawn chairs, bring your blankets as the Rozsa Center for the Performing Arts presents “An Old Fashioned Twilight Concert,” 7:30 p.m. Sunday, Sept. 18 on the Rozsa/Walker lawn. The free outdoor concert is put on by Michael Christianson, Michigan Tech’s director of bands, with a performance by the Superior Wind Symphony, in which they will celebrate the birthday of the godfather of band concerts, John Philip Sousa. Spend a beautiful fall evening full of band music outdoors on the lawn. In the event of rain, the show will move inside, to the McArdle Theatre on the second floor of the Walker Center. Christianson says the concern, held one week before Sousa’s birthday, will reference music of that golden era, (Sousa, Holst, Kreisler) but will also update some items (John Williams, Frank Ticheli, Hoagy Carmichael) to be more pertinent today. “Bring your blanket, your dinner and spread out on the lawn as you enjoy a classic Band moment with Michigan Tech’s Superior Wind Symphony,” he says. The Parade of Nations along with the Rozsa Center for the Performing Arts present the high-energy breakdancers-on- wheels that are “Breaksk8” on Saturday, September 17. In addition to skating in the Parade of Nations, Breakst8 will perform at 7:30 p.m. on the Rozsa Center stage. BreakSk8 has amazed audiences around the globe with their unique style of entertainment on wheels. Never before has roller skating and break dancing been combined in such an acrobatic, athletic, artistic and precise display of talent. Tickets are on sale now, $10 for adults, $5 for youth and free for Michigan Tech Students with the Experience Tech Fee. You can get tickets by calling 7-2073 or online. In addition, the Parade of Nations and the Keweenaw Roller Girls roller derby team present an “open skate” from 6:30 to 7:30 p.m. Wednesday, Sept. 14 at the Houghton County Arena. This “bring your own skates/blades” event is free and open to all ages and levels of experience. For more information on Breaksk8, visit their website. Tonight is the final night of auditions for the Tech Theatre Company’s first two shows of the season. Auditions are at 7 p.m. in the McArdle Theatre in the Walker Building. “Silent Sky” by Lauren Gunderson— Roles for one man and four women. “The Resistable Rise of Aurture Ui.”— Roles for three or more women and 19 or more men. No preparation or monologues are required to audition. For specific information on each play check out the original Tech Today story.